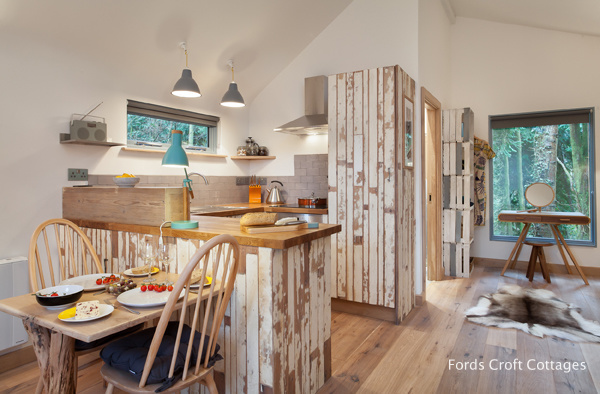 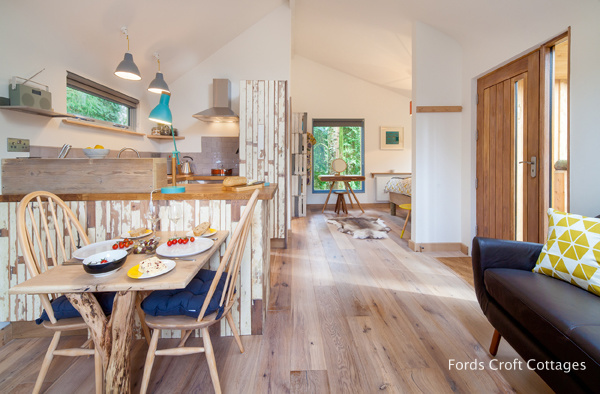 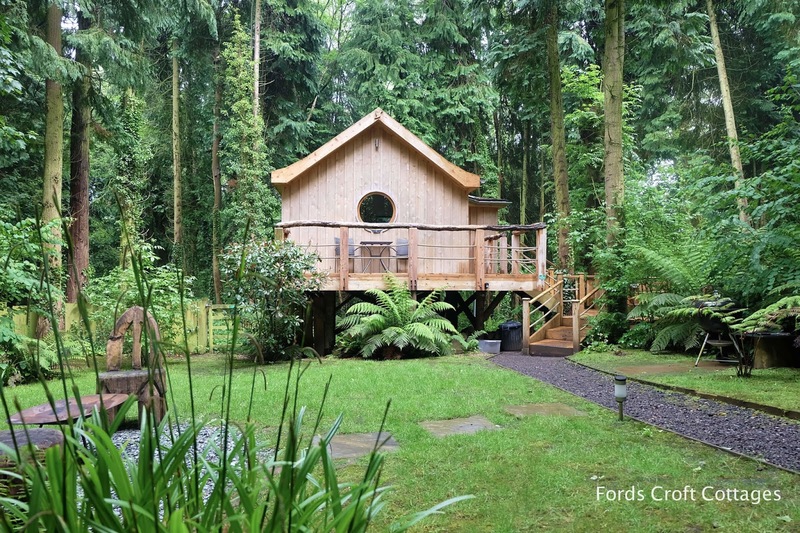 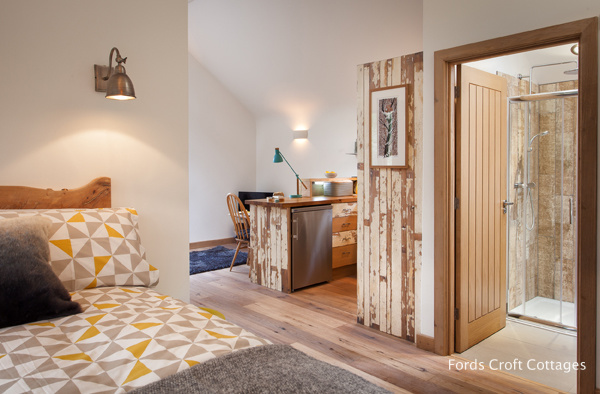 Nestled in the woodlands of Fordscroft Farm in Crewkerne, England, is The Bird: a luxury treehouse retreat. 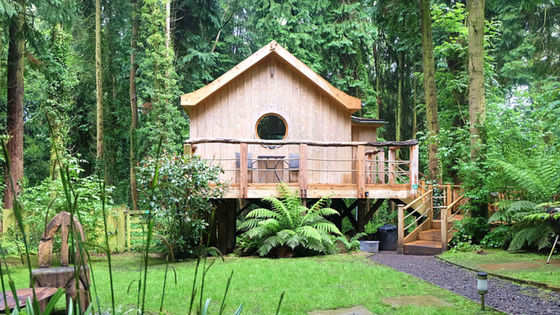 The home is built onto tree trunk stilts, clad in local cedar, and features a large round glass window to give the space a true birdhouse look and feel. 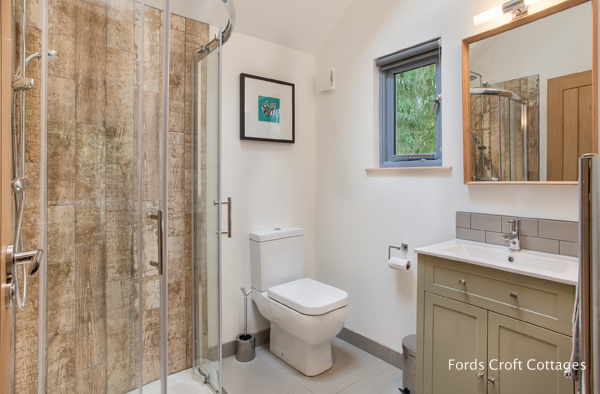 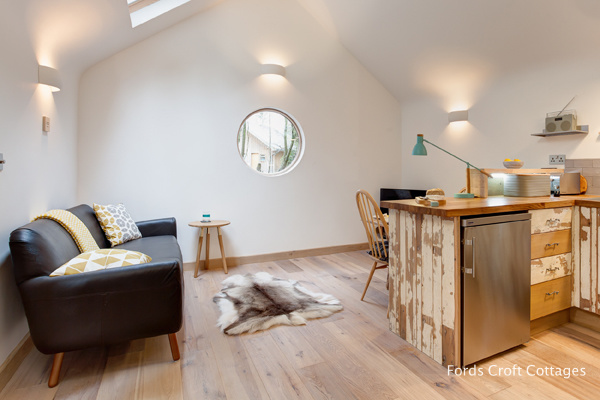 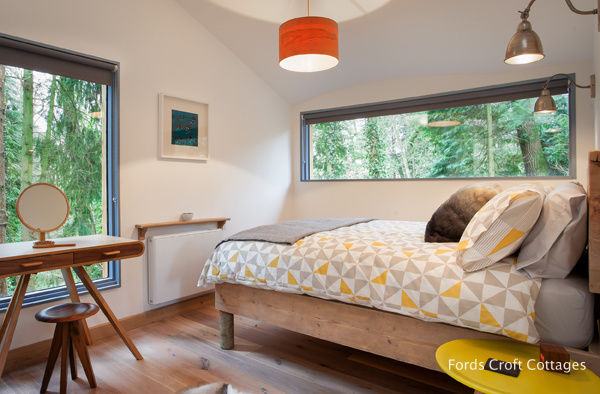 Despite the treehouse's small size, high, vaulted ceilings and a flowing curved wall that makes the space feel roomy. 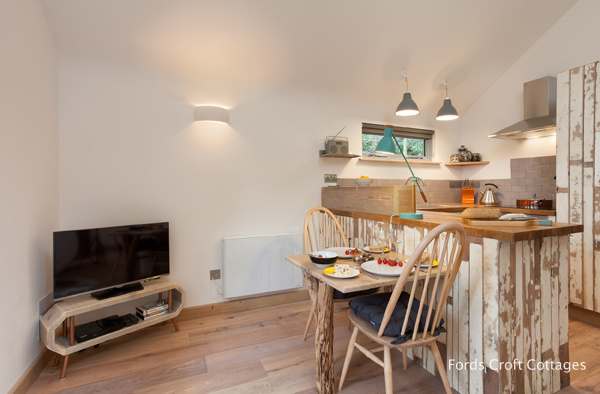 There's a fully equipped kitchen included in case you feel like cooking for yourself. 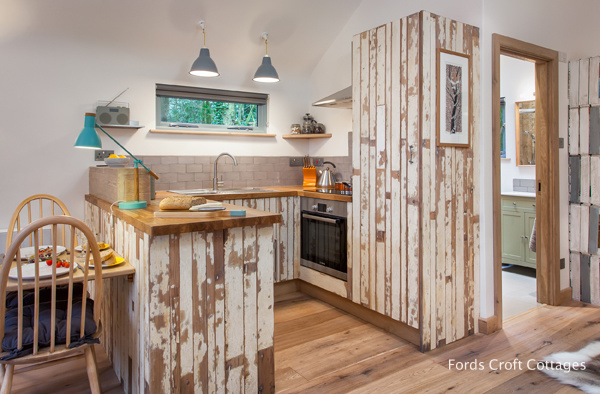 In addition to stainless steel appliances, there are 80-year-old boards along the kitchen wall that were salvaged from a nearby parachute regiment. 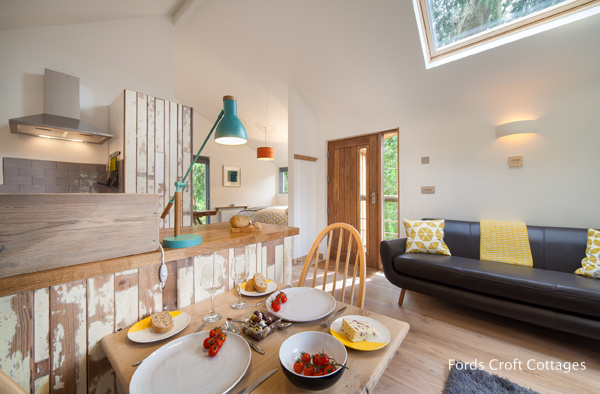 There's a minimum two-night stay totaling £165.00 for both, plus a £100 refundable deposit (about $349.85 USD in total). 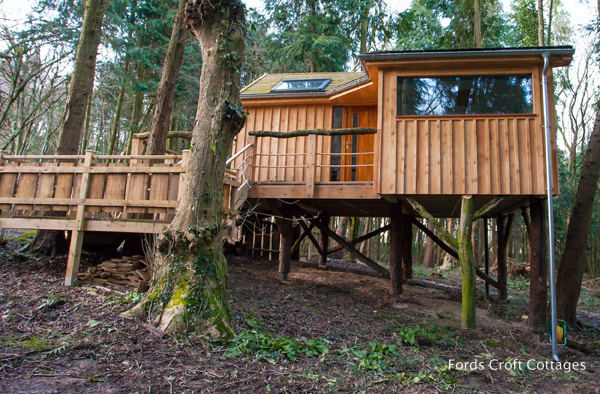 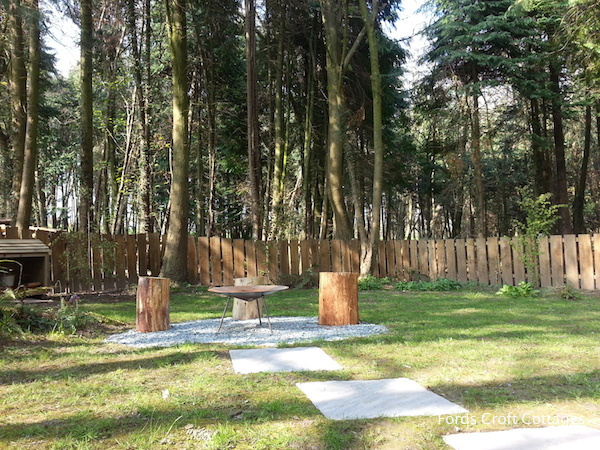 To book this gorgeous little treehouse, follow this link to its booking page!